Believe it or not, Halloween is not just for kids! 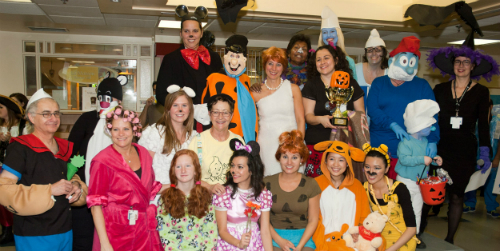 Our staff members got their best costumes on for the annual Montreal Children’s Hospital’s Halloween Party and Costume Competition. Check out the winners below. 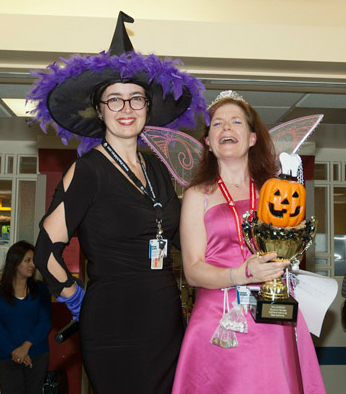 In this photo: Associate Executive Director, Martine Alfonso (left) with 2nd place winner for Best Individual Costume, Charlène Richards from Medical Imaging for her Tooth Fairy costume. 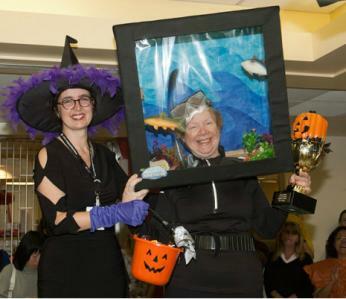 In this photo: Associate Executive Director, Martine Alfonso (left) with 1st place winner for Best Individual Costume, Patricia Boyer, the hospital’s Ombudsman, for her Scuba Diving costume. 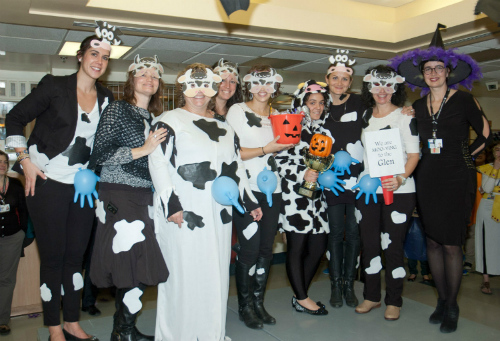 In this photo: The 2nd place prize for Best Group Costume went to the Social Service Department for their clever Moo-ving Cows costumes. In this photo: The 1st place prize for Best Group Costume went to the Dentistry Department for their Retro TV costumes, including Mickey & Minnie Mouse, Teenage Mutant Ninja Turtles, the Flintstones and the Smurfs, among others.